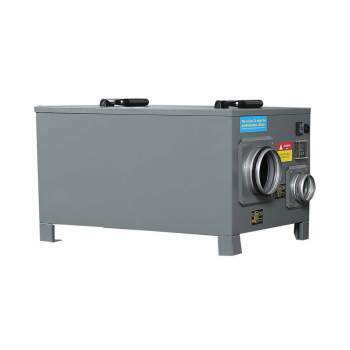 The Puredry PDD 10L Desiccant Desiccant takes advantage of the latest Japanese new dehumidification technology with sophisticated software and modern LCD screen. 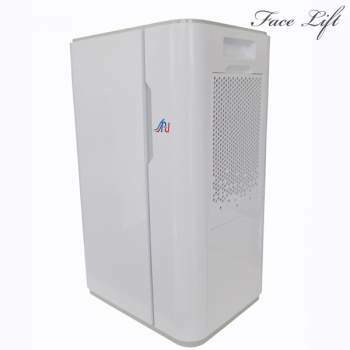 It is the best and most efficient de-alloy dehumidifier in the world !! 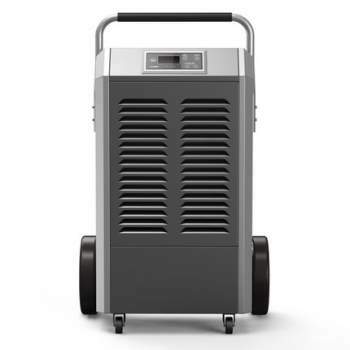 It works without the use of a compressor motor such as the dehumidifiers we have known so far. Its principle of operation is based on the desiccant desiccant, the zeolite, which has the physical property of absorbing the moisture particles from the air and consequently transforming it into water stored in the dehumidifier bucket or with a tubing is included in the packaging in the drainage system. It has inside the heat resistance, which heats the dry air before it flows into space. 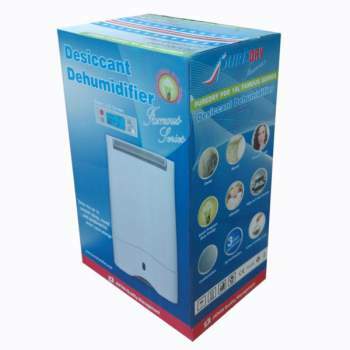 The dry air diffused by the Puredry desiccant desiccants is about 10-16 ° C warmer than the air in the room. 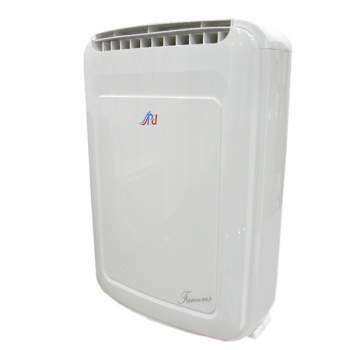 They therefore contribute to heating the room by raising the temperature by 1-3 ° C. You should be aware that using dehumidifier reduces heating costs by 20%. 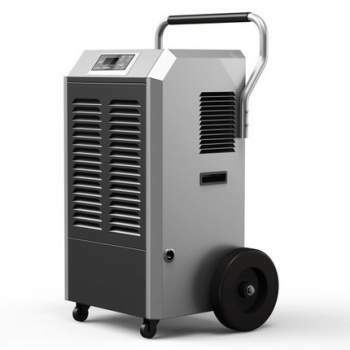 The Puredry PDD 10L Famous dehumidifier can cover areas up to 130m² in mainland Greece and up to 100m² in coastal or lakeside areas where relative humidity levels exceed for a long time the 80% RH. It is a desiccant type (desiccant desiccant with zeolite) and operates efficiently at temperatures of 1-37 ° C, is ideal for permanent homes that do not heat well and have temperatures over 15 ° C for a long time or are heated at intervals during day, for cottages, caravans, boats, garages, workshops, etc. The only 10-liter desiccant desiccant with LCD screen. 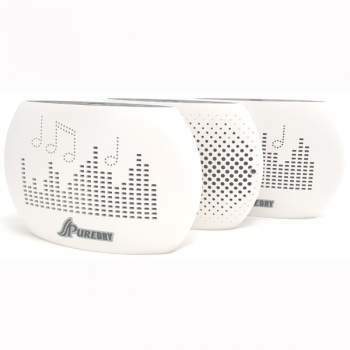 Puredry PDD 10L Famous can cover up to 130 m². 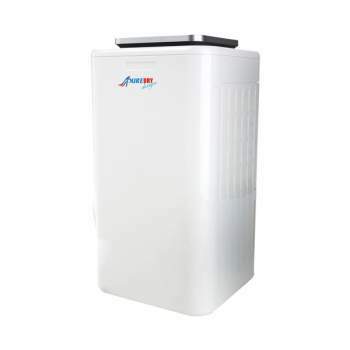 Dehumidifier with powerful ionizer for room cleaner air. 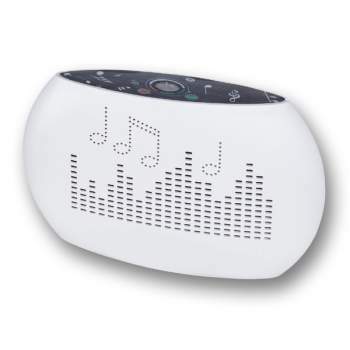 The blue LCD monitor has a brightness rating that will not disturb the night. 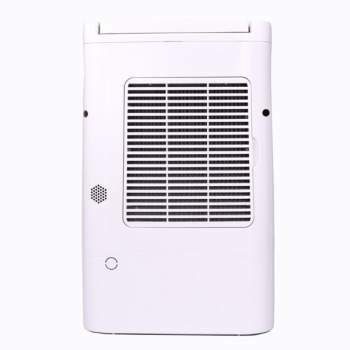 It has a 10-12 liter dehumidification capability per day, it has automatic reboot mechanism after power failure, has 40% -80% dehumidification options with choice of 5% AUTO mode (50%) and CO continue, three SLEEP-LOW-HIGH fan speeds, a 1-24 hour timer, a constant temperature display thermometer on the LCD screen, a two-stage particulate air filter and a Carbon filter that absorbs unpleasant odors, toxic gases, harmful chemical smoke from the cigarette, etc. 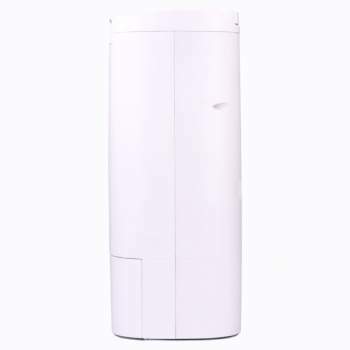 It has a built-in powerful ionizer with a cat selection mode, a large 4 liter catcher capable of permanent connection to the sewer by pipe provided in the package, it is extremely quiet by volume cubic meters covering 42dB. 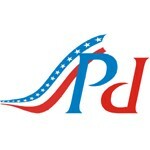 The Puredry PDD 10L Famous dehumidifier is very energy efficient. 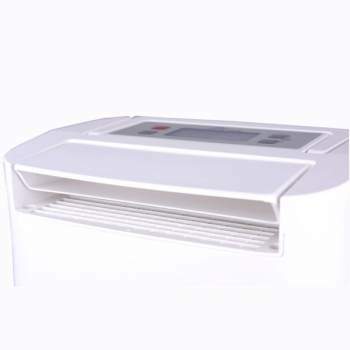 Because it operates with resistors to achieve dehumidification (drying the zeolite), the energy consumed returns it to the space in thermal, so the outgoing air is 10-12 ° C warmer than the incoming, this results in helps to heat the space mainly during the winter months when heating needs are increased. 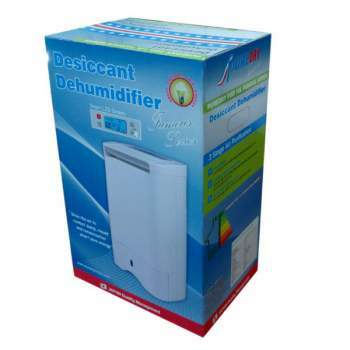 By activating the dehumidifier the user selects the desired humidity levels, the dehumidifier works to achieve them. 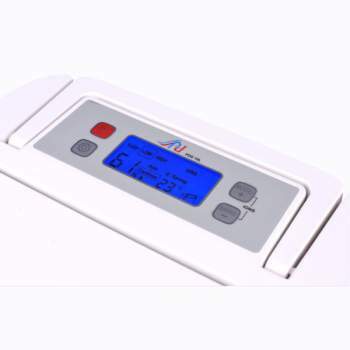 When the relative humidity target has been reached, the dehumidifier only operates the fan for 5 minutes to check that the relative humidity is at desired levels and to completely dry the zeolite. Then it stops for 30 minutes (standby), then starts the fan again for 5 minutes to check the relative humidity levels of the room. If the relative humidity has risen above the desired levels by 5%, the dehumidifier will start operating again. If the relative humidity is below the desired levels, then the dehumidifier will stop operating again for another 30 minutes. This process saves a lot of money.